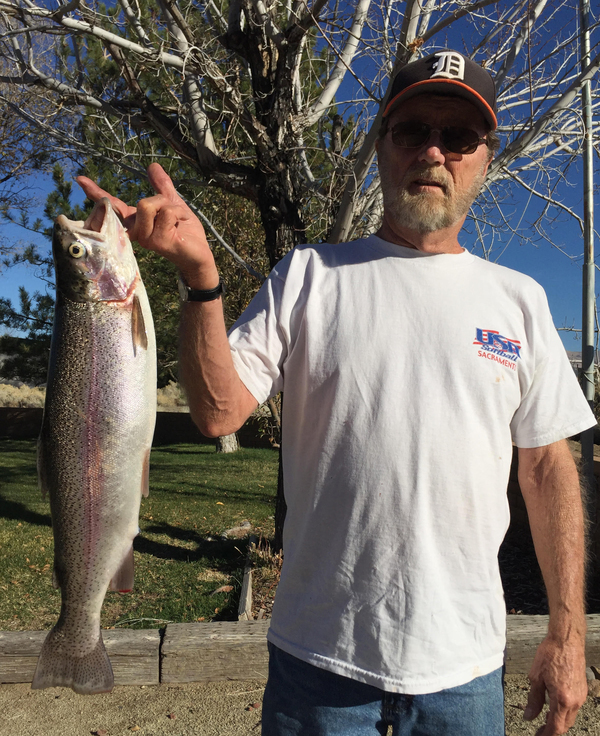 Jerry Dow from Carsomn City NV.. 16 pound cutthroat from Pyramid lake. On 6 pound test line. The lake has been fishing well through the season. I spoke to a friend and fellow angler Jerry Dow from Carson City. he was fishing with friends off the shore between Warrior point and Sutcliff area. Jerry was using a number one rainbow patterned Torpedo spoon and 6 pound test line. 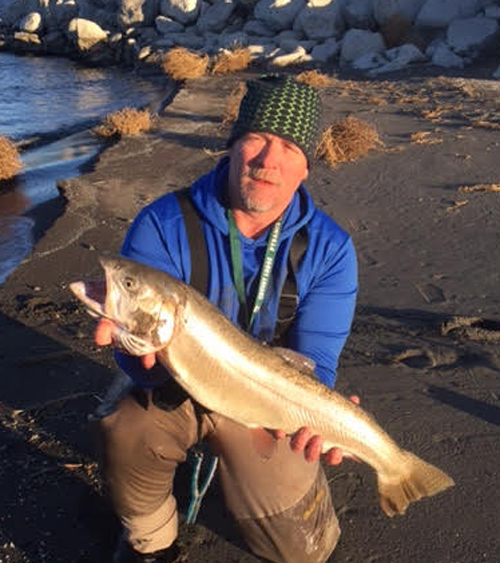 The result was a 16 pound cutthroat trout, which took him 45 minutes to reel in. Jerry and his team caught a few more on that trip in the 19 to 24 inch class. Most anglers I have spoken to have been fishing Warrior point down to the Popcorn area. They have been fishing the drop off areas close to the shore with great results.